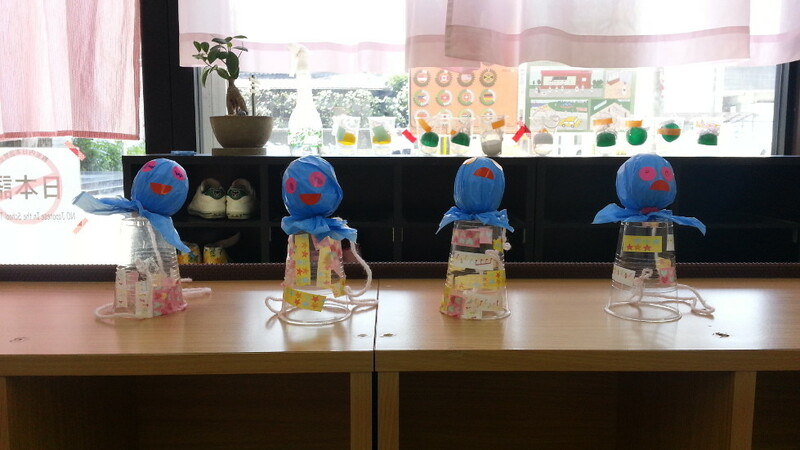 Some more crafts for the Rainy season. 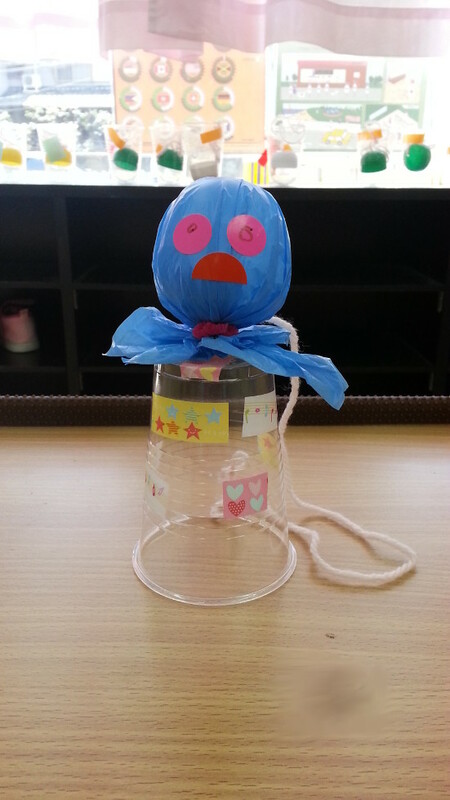 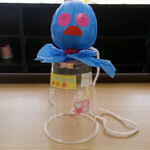 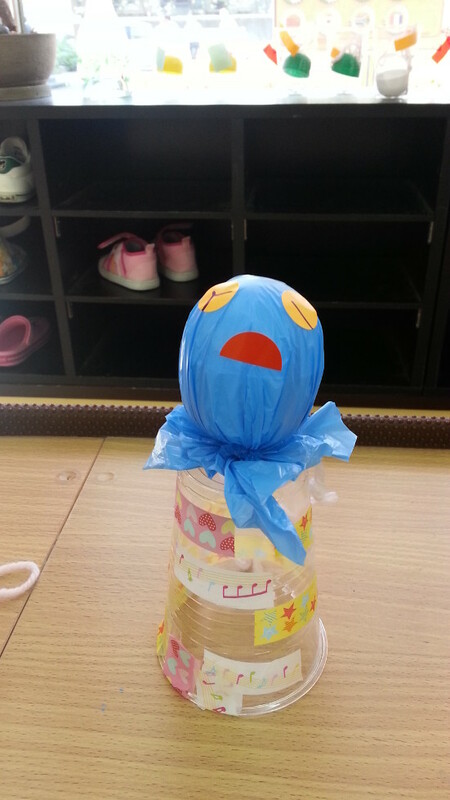 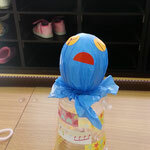 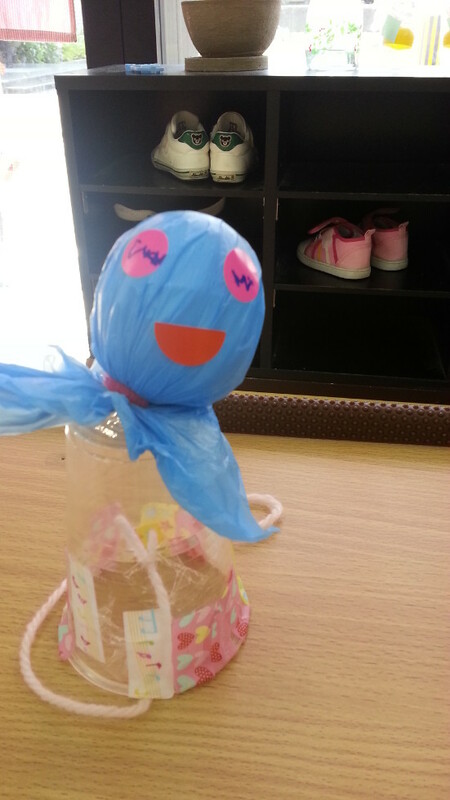 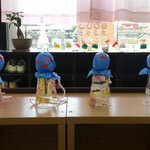 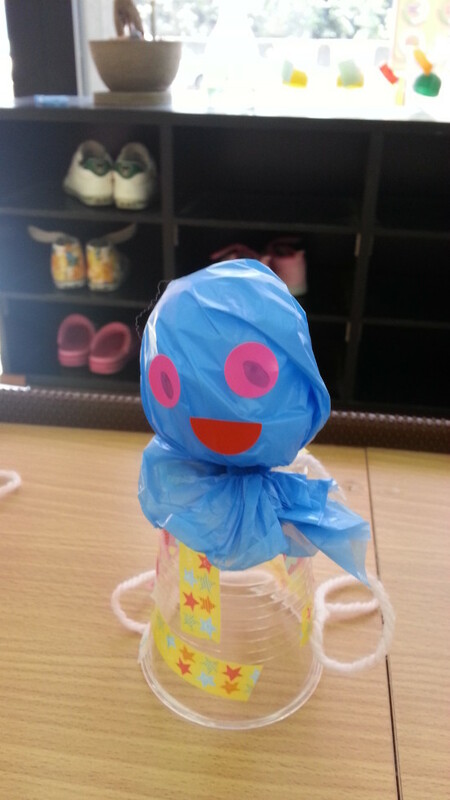 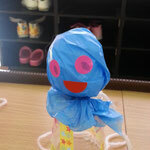 We made Teru Teru bozu (Shine Shine Monk) to keep the rain away, the kids can also use it like a toy to chuck the ball thats attached by string to the cup and catch the ball in the cup. 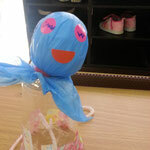 we are doing this for Munchkin and Can Do and Can Do More classes.